All material on this web site represents the personal opinions of Rafi Cohen and not any organization with which he is or has been affiliated, unless otherwise clearly stated. From 1996-2000, Rafi completed his B.A. in Near East & Judaic Studies (with a focus on contemporary Jewish life) and an Interdisciplinary Program in Journalism at Brandeis University, After three years of valuable work experience, including the National Ramah Commission and United Jewish Communities (now JFNA), and learning at the Conservative Yeshiva in Jerusalem, Rafi attended the Rabbinical program at the Jewish Theological Seminary of America, where he also completed an M.A. in Jewish Education. 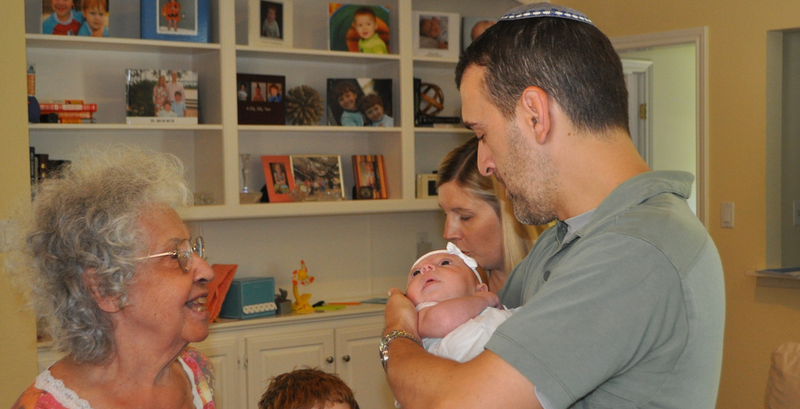 Rafi was the Resnick Rabbinic Intern at the Conservative Synagogue Adath Israel of Riverdale, which he is pleased to call his spiritual home together with his wife, Michele, and their two children. In addition to his professional work (below), Rafi volunteers at CSAIR and is a registered wedding officiant in New York City. As an a assistant and senior rabbi, Rafi focused on relationship building among college students and young professionals while devoting time to pastoral care and interfaith community efforts. He has completed two units of Clinical Pastoral Education and, in 2014, participated in the Rabbinical Assembly's Rabbinic Management Institute at the American Jewish University. Rafi championed Jewish life on campus first at the University of Texas, Dallas and later as Director of Jewish Student Life at Hillel at City College of New York (a CUNY School). In 2017, Rafi joined the Office of Institutional Advancement at Schechter Westchester to develop the alumni affairs and continue his devotion to Jewish education. ​Please note: Rabbi Rafi Cohen is not a psychiatrist or a psychologist and his work providing life-cycle (i.e. marital) counseling is not a replacement for psychological therapy. ​ He is a member in good standing with the Rabbinical Assembly. I am going on ten years of various pulpit experiences, and I presently maintain a High Holy Day position. I am available for individual and small group instruction and would be happy to teach as a rabbi/scholar-in-residence on the topics of parshanut (weekly Torah portion & commentaries) and contemporary issues. Please click below for articles and sermons that I have written.